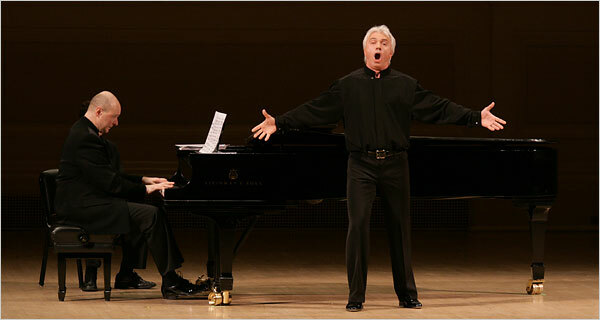 When I first heard Dmitri Hvorostovsky in recital years ago, I felt – despite the beauty of his voice and his mastery of Russian song – that he was champing at the bit, just pining for a hero’s role, a big stage, and an orchestra and company around him. When I saw him later in the opera house, he appeared to be entirely in his element, and to have claimed his birthright. Of course, he’s now entirely in his element as a recitalist, too. But, hearing Simon Keenlyside in recital at Alice Tully Hall this season, I had the same thought, at least for the first half of the program (Schumann’s Dichterliebe). 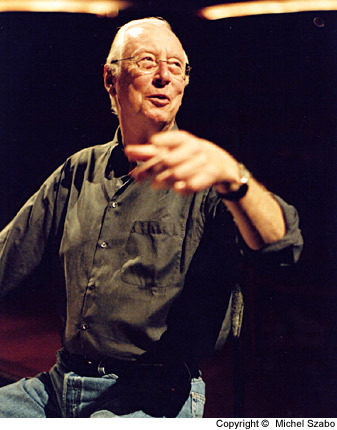 His voice was fine, but he seemed ill at ease, even though he had made an acclaimed recording of the cycle for SONY Classics. Curiously, during the second half of his recital (a compendium of four of Wolf’s Mörike lieder, and nine by Schubert), he was relaxed, wholly in command, and sensitive to the delicacy of the songs. Then I saw his Hamlet and, sure enough, he filled the music, the drama, and the role to overflowing, matching the flawless Ophelia of Marlis Petersen. 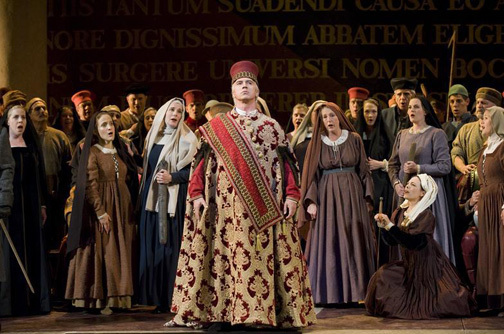 This was a performance of brooding, expressive physicality; never-to-be-forgotten, and you can see him again soon — he’s due to return to the Met next season to play Roderigo in Nicholas Hytner’s new production of Don Carlo. 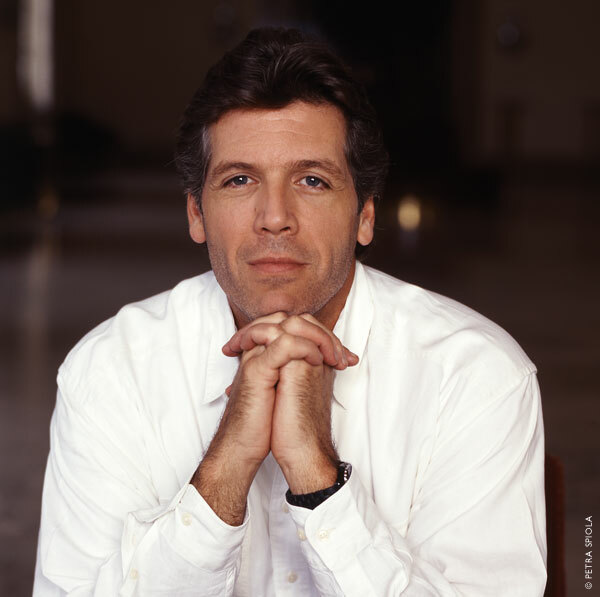 Thomas Hampson also did Dichterliebe seven weeks later, in the same hall. But, of course, for the by-now bilingual Hampson, Schumann is second nature. His shaping of the cycle is without peer, and surely the absolute equal of his large-scale performances in Don Giovanni, La Traviata, Faust, and most of opera’s core repertoire. (Full disclosure of a local guilty pleasure: while browsing at Gracious Home on a snowy day, I overheard a familiar, richly modulated voice: the baritone, in down coat, fur hat, and gloves, deep in conversation with a clerk about domestic hardware. As I lurked among the detergents in stealth mode, it became clear he knew his nuts and bolts as well as his lieder and arias.) Hampson has been working overtime this year. But, between the operas, the recitals, the recordings, the lectures, his residency at the Philharmonic, and his master classes, it was oddly comforting to discover he still does his own shopping, and can wield a wrench in an emergency. As for the New York Philharmonic: in two recent concerts it has never sounded better. During Valery Gergiev’s three-week Stravinsky marathon, I was lucky enough to hear both the Violin Concerto in D (with the excellent Leonidas Kavakos) and Oedipus Rex (seldom performed) with all the authority and passion the conductor brings to this repertoire. Three weeks earlier, I went to hear Antonio Pappano (for once, accompanying neither soloists nor singers) having his way with Mozart’s Symphony No. 31, and with Brahm’s mighty Fourth Symphony during a one-hour Rush Concert. I have heard Pappano at the Met, and have taken seriously the unstinting praise of many music professionals who consider him at the top of his game. Well, he is! 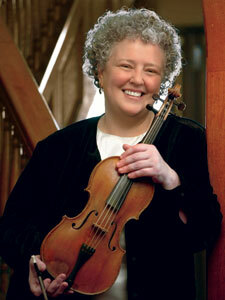 The Mozart (not the composer’s best) was good, but the Brahms–ah, the Brahms—was sensational! 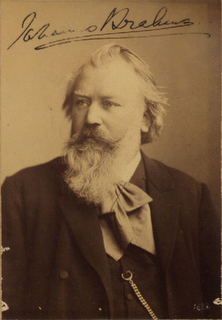 Brahms didn’t write his First symphony until he was in his mid-40s, and completed the Fourth when he was 52. Mature, and full of a warmth that, in a performance like Pappano’s, was more like the glow of an extended embrace than an exercise in four movements. It unleashed a standing ovation–tumultuous, and small repayment for 19th-century favors granted and received in the 21st. Caught the end-of-season production of Dialogue of the Carmelites, and have to admit that the costumes, lighting, and spare sets expressed the austere libretto perfectly. There were some strong voices to express Poulenc’s score, and remind me that the school’s Opera Center is a great source of excellent production, musical, and dramatic values. Be sure to bookmark Juilliard’s Web site for next season’s operas, plays, and dance recitals, to say nothing of outstanding symphonic, chamber music, and jazz ensembles, coming in September. And remember most of them are actually free, or at very low cost for very high standards. The big news this year is the resurgence of early music – a joyful former staple of most campuses in the 1960s and 70s, accompanied (then) by long hair and longer skirts. Currently, Juilliard is cresting the wave with serious creds: Monica Huggett has been appointed Artistic Director of the school’s Historical Performance Program, which has been scheduling week-long residencies with early-music icons like Emma Kirkby, William Christie, and Jordi Savall. The graduate students (mostly tall, thin women, now in chic pants) are so accomplished that the sharp-tongued Christie (who had worked with them for a week before the master class) refrained from a single correction, simply urging the audience to listen to the music. You’ll be able to enjoy the fruits of their labors with the Juilliard 415 Ensemble, devoted to the masterpieces of earlier centuries, when orchestras were smaller, and pitch was lower (A=415). P.S. 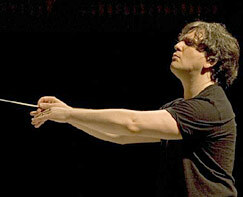 Christie is scheduled to make his conducting debut at the Met next season with Così fan tutte. Not-so-early, but long-overdue. 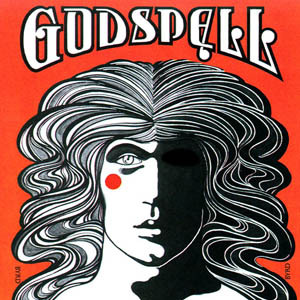 Opted for the full press this season – Baroque opera (Il Pastor Fido), Classic opera (The Marriage of Figaro), and modern music theater (Stephen Schwartz‘ Godspell). Each was a production of a different division of MSM. Pastor Fido suffered a little from an awkward performance space (multiple stairways are not conducive to fluid staging), but Godspell was a joy, with the cast leaping up and down the aisles, surging in and out of the theater, and generally egging the audience on to whistle, stomp,clap, and yell its approval. Everyone gets an E for energy (especially the saucy and delicious LR Davidson). But it’s the Figaro that I want to concentrate on. Coming in at about four hours (the result of an intimate auditorium and stage, close in size to the houses that Mozart and Da Ponte created for), it simply would not quit! As editing, in film, is the all-important condiment that separates the good from the great, on stage it’s direction; there are no second takes allowed, and the wrangling of the many forces in constant motion requires finesse, musicality, and vision. Dona D. Vaughn has them all, in spades. (And, of course, the inestimable benefit of conservatory time – lots of rehearsal, until the work is seamless.) 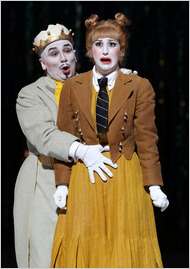 In the case of Figaro, it was both seamless and over-the-top. What a cast! Usually, there are two, alternating the major roles. 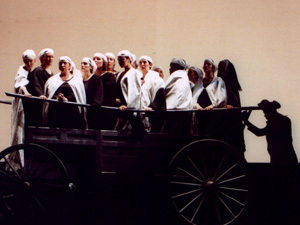 But the Figaro – Robert E. Mellon – was shot out of a cannon for all three performances. During the bows, he smiled broadly and mimed wiping sweat from his brow (it was his second evening, and there was still one more to go). 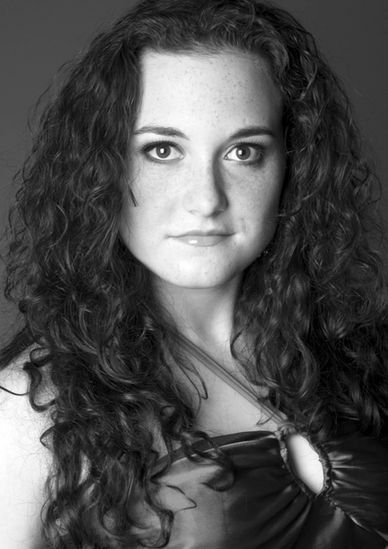 The Cherubino we saw (Samantha Korbey) was not only sensational, but sported what has to be a unique program bio: a former Ph.D. Candidate in neuroscience, she left it at the Master’s level to “devote herself fully to the pursuit of an operatic career.” Believe me, it’s neuroscience’s loss! To be fair, every role was fully alive and in double time. But Raed Saade should be decorated for his Bartolo. Anna Viemeister for her Countess, and Lindsay Russell for her Susanna. 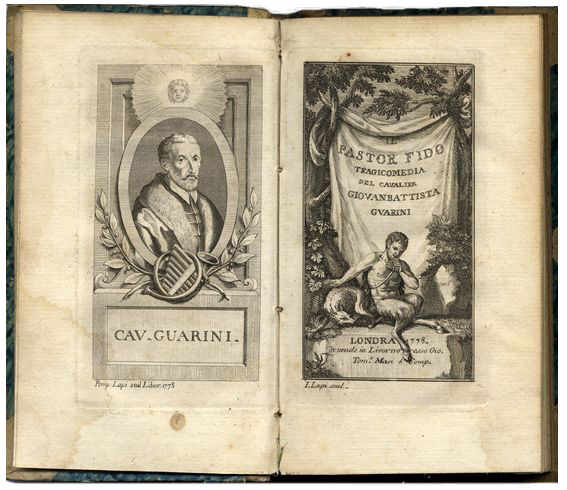 In all, this was what Figaro should be, but often isn’t: Every joke, big and small (and the sorrow, too), was right where it belonged, and always derived directly from Da Ponte’s libretto, Beaumarchais’ play, and a whole semester’s worth of early Greek and Roman theatre. And the sheer youth and vigor of the cast (most are graduate students, ca. 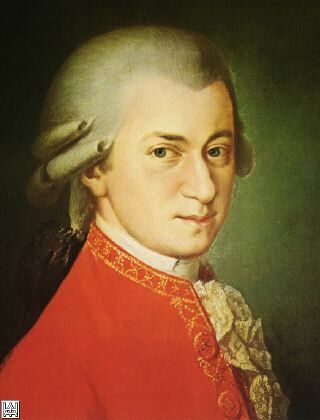 25-30) simply echoed what Mozart and Da Ponte had in mind. A tour of the Web site at summer’s end will alert you to what lies ahead (including the streaming of master classes). 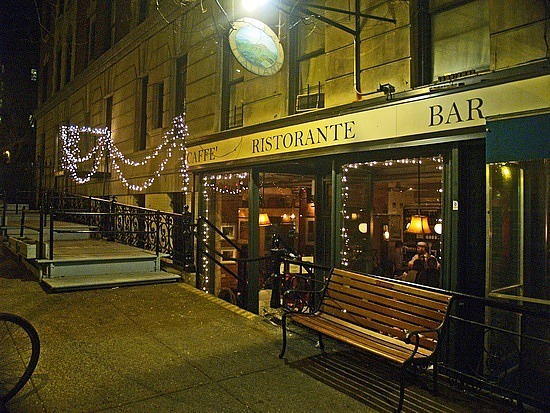 And for a pre-theater repast to get you in the mood, try dinner at Pisticci’s (125 LaSalle Street), where the walls are lined with all nine muses, the diners are drawn from the neighborhood’s many universities and graduate schools, and the staff is young, smart, enthusiastic and talented. Our waiter, pre-Figaro, turned up a month later as Jesus in Godspell. He was terrific! 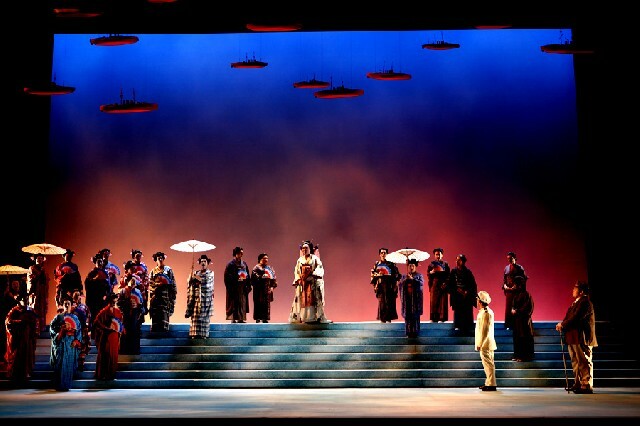 Flying high last fall, the New York City Opera took off in a residue of heavy weather. But the spring season proved a happy landing. Three, in fact; with a triple bill that mirrored the company’s resilience, range and its potential for the future, NYCO came through with panache. 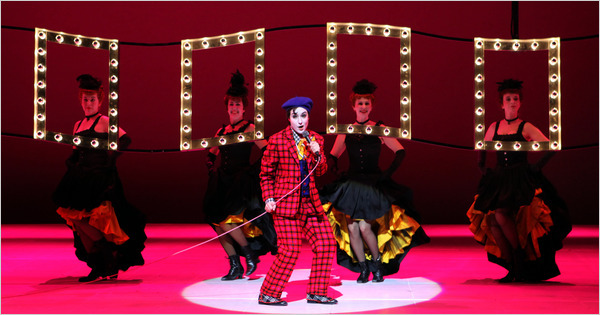 The stylistic requirements of Chabrier’s l’Etoile (done in French, with witty supertitles) were fulfilled by singers eager to break ground, led by the delightful Jean-Paul Fouchécourt as King Ouf. It was all fresh, fresh, fresh, with its delicious 19th-century shtick played under bright lights on sets with pillars and wavy mylar that reflected the cast like fun-house mirrors, candy-colored costumes, and stars that – yes! – twinkled everywhere right up to a very happy ending. 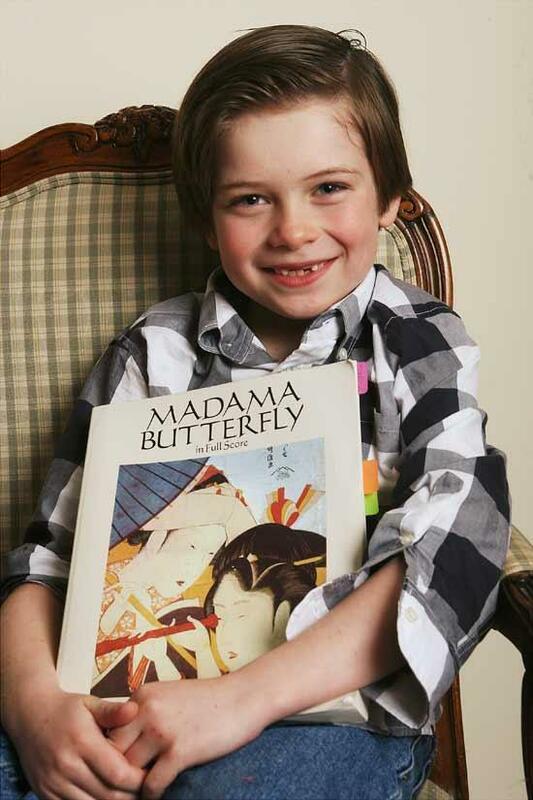 Madame Butterfly was a particularly strong production, originally by Mark Lamos, rehearsed to perfection by David Grabarkevitz; subtle details of movement and character raised, and maintained, a level of fluid realism that framed the clash of cultures at the center of Butterfly’s tragedy, yet gave exceptional dimension to all its protagonists. 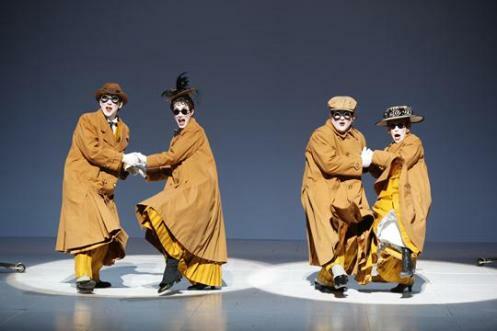 Michael Yeargan’s sets and Constance Hoffman’s costumes were bathed in gorgeous light. 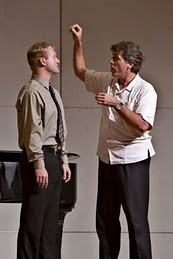 Baritone Quinn Kelsey was outstanding as Sharpless and (a real find! ), the non- singing, non-speaking role of Sorrow was brilliantly filled by a lithe, skinny gap-toothed kid from New Jersey: Eddie Schweighardt. Something tells me we will be seeing (perhaps one day even hearing) him again. 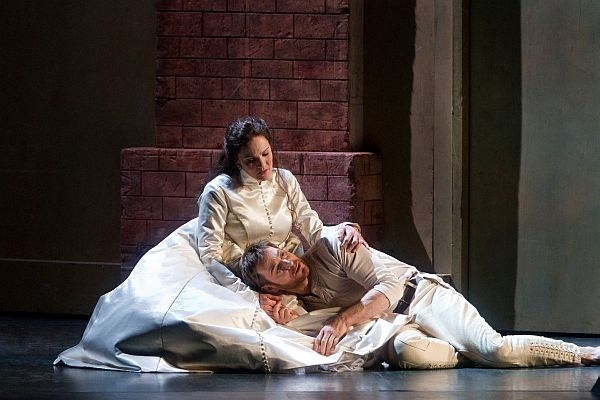 With Partenope, NYCO unveiled its Baroque chops through the splendors of a young, energetic and fearless – nay, heroic –cast who knocked off its fiendish roulades and physical demands without flagging. 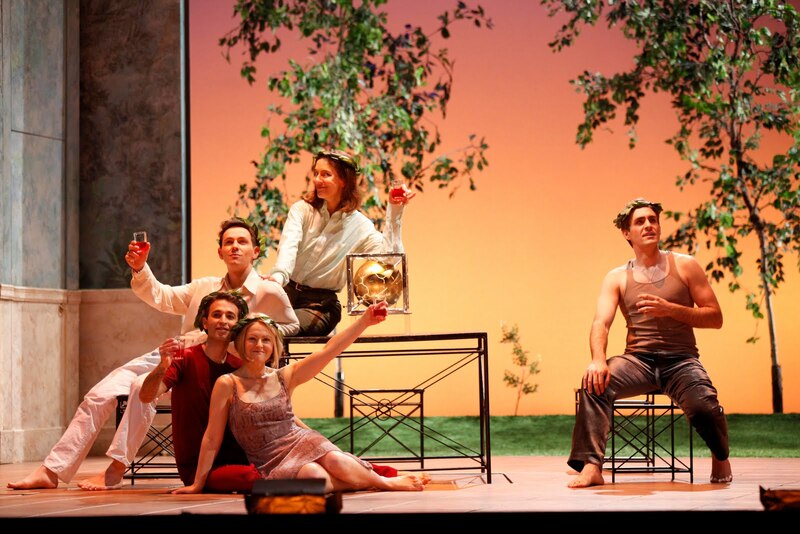 With a roster including not one, but two, countertenors, Francisco Negrin’s deft production fields a modern take on the 18th century that makes this tale work wonders for today. 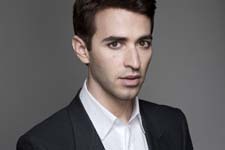 Partenope’s Prince Armindo was countertenor Anthony Roth Costanzo, making his NYCO debut. We will definitely be seeing, and hearing, him again. 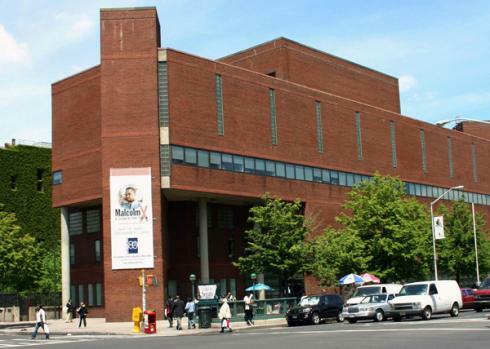 What NYCO has figured out is how to shine with its resources – on stage and in the pit. The productions are generally lean (but beautiful), and strong theatrical and musical talents have mounted creations that are meticulous and audience-friendly. 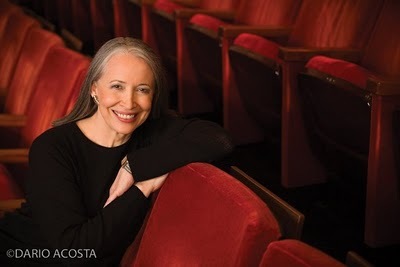 Like all performing arts institutions, NYCO also knows that outreach is essential and has figured that out, too: Opera Matters explores opera’s connections to the visual arts, film, literature, mass media, and pop culture. Its collaboration with the Schomburg Center for Research in Black Culture mounted a vibrant concert version of Malcolm X (premiered at NYCO in 1986). And its VOX workshop series (this year at NYU’s Skirball Center), has grown into a dynamic incubator for tomorrow’s operas unafraid to experiment with every conceivable story, musical style, and media. The expanded 2010-11 season will bring us operas by Bernstein, Strauss, Donizetti, and an evening of Monodramas by Zorn, Schoenberg, and Feldman, plus the premiere of Stephen Schwartz’ Séance on a Wet Afternoon. And there’s more: five concerts that extend the work of the season’s composers. Bonus: the newly-renovated David H. Koch Theater is a pleasure to navigate and sit in. At seasontickets, everything will be revealed. Read all about it, make your moves, and don’t even try to resist! 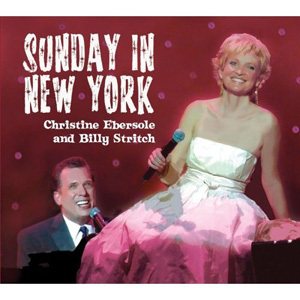 It’s win-win (Tony and Grammy) winners Christine Ebersole and Billy Stritch–live!– for one night only on May 17! For those who treasured Ebersole’s sensational double performance in Grey Gardens, and Stritch’s evenings at Feinstein’s and Birdland, or who saw the two together at Lincoln Center or in 42nd Street, it’s a singular chance to catch their brand-new program before they leave for their European tour. Get your tickets at www.symphonyspace.com, then get in the mood with their just-released second album.